Hurry on over here to print FOUR new Applegate natural & organic coupons! Save on Applegate’s breakfast sausage, breaded chicken, sliced deli meat and hot dogs. Applegate offers healthy alternatives with organic, natural, non-gmo and gluten-free ingredients. I buy Applegate products all of the time, so I’m excited to see these new coupons! 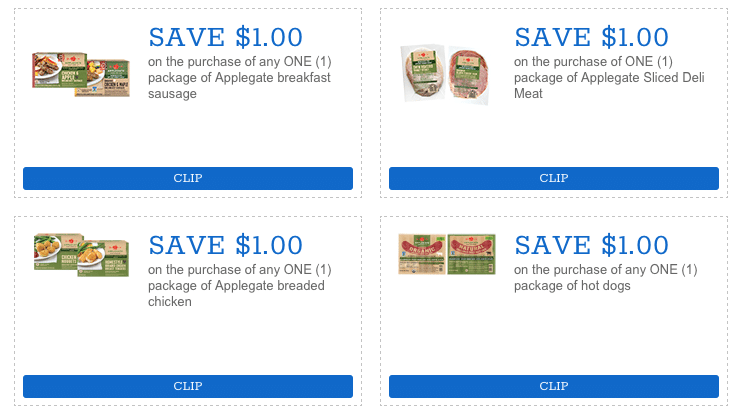 Print these Applegate coupons now and hang onto them for a sale! I’ll be on the lookout for the best in-store deals to use these coupons on.